The purpose of Lynx Dashboard is to facilitate the work for corporative managers. For this, we develop a system that transforms data in strategic information in a safe, agile, automated and simplified way. The Lynx Dashboard is a vital intelligence tool for monitor the corporate activities and for definition of realistic prognostic. See bellow all the features and benefits that are avalable for Lynx Dashboard. a 30 days free trial. Access control per user or groups. 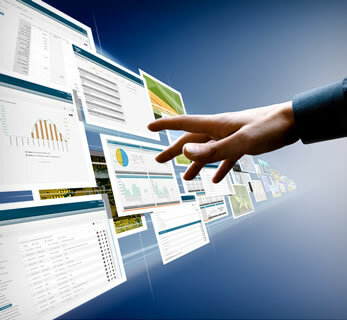 Vizualization in the main platforms: web, smartphones, laptop and tablets. Integration and communication with several Database. Best value in the market. With Lynx Connector when is set up it extracts the data, processes and send to the server Lynx Dashboard and from this moment all the information are available for the users to access at any time and from any device, with all the security and access restriction that each scenario deserves. Share Lynx Dashboard With your partners and clients.